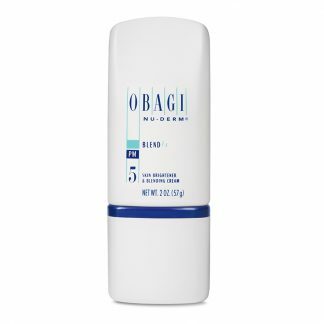 Home / Shop / Obagi / Nu-Derm System / Obagi KeraPhine Body Smoothing Lotion 6.7 oz. 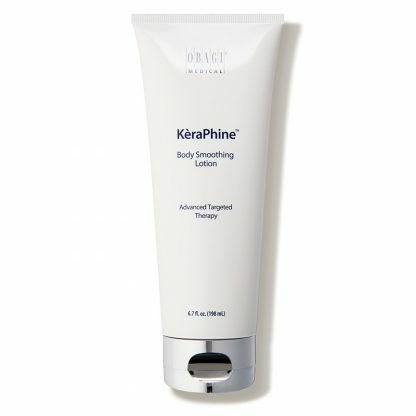 Obagi KeraPhine Body Smoothing Lotion transforms rough, bumpy skin with a healthier appearance. 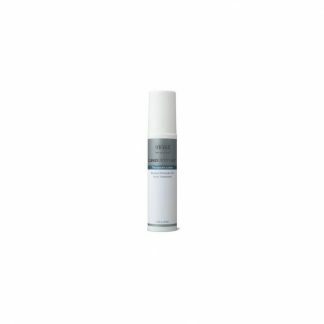 Glycolic acid and ammonium lactate work to boost cellular turnover for younger, more beautiful skin. Complete with UV light reflecting titanium dioxide, this body lotion also includes dimethicone, which seals in your skin’s natural moisture. Sunburn Alert: This product contains an alpha hydroxy acid (AHA) that may increase your skin’s sensitivity to the sun and particularly the possibility of sunburn. Use a sunscreen, wear protective clothing, and limit sun exposure while using the product and for a week afterward. 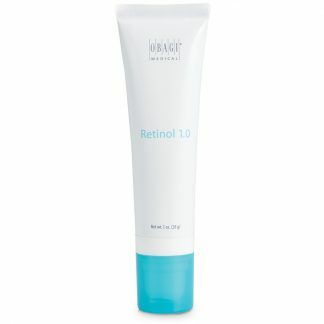 Active: 15% Glycolic Acid, 5% Ammonium Lactate. Inactive: Water (aqua), Glycolic Acid, Hydroxyethyl Acrylate/Sodium Acryloyldimethyl Taurate Copolymer, Ammonium Lactate, Sodium Hydroxide, Glycerin, Dimethicone, Pentylene Glycol, Beta-Glucan, Sodium Hyaluronate Crosspolymer, Sorbitan Isostearate, Disodium EDTA, Polysorbate 60, Ethylhexylglyercin, Caprylyl Glycol, Chlorphenesin, Phenoxyethanol, Titanium Dioxide (CL 77891).